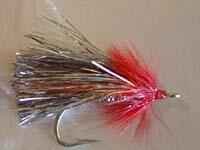 Scientific Salmon studiers see Sockeye Salmon species sincerely as Oncorhynchus nerka. This species of Salmon probably has the widest range of its kind. It is native to the entire Pacific Ocean. How’s this for a territory, guys? You will find them from California's Mendocino coast, to Hokkaido Island Japan, to the Canadian Arctic, and on to the Siberian coastline. Chances are, if you set a boat in the Pacific, you will be right over some of these chunkers! But that's not all!! Landlocked (no access to the open sea) Sockeyes are called Kokanee and can be found in Canada's Yukon Territory and British Columbia, as well as most of the western United States including Oregon, Washington, California, Idaho, Utah, and several others. Sockeyes grow to a maximum of 3 feet in length and can weigh in at approximately 7 or 8 pounds. That is one slammin' salmon, isn't it? Spawning takes place from July to August each year. Females dig nests and deposit eggs for the males to fertilize. Sockeye nests are unguarded and the hatchlings are on their own from square one. That's good parenting if I ever saw it! They seem to prefer streams with lakes attached somewhere. Normally, these migratory swimmers spend 3 years in the lake, then migrate seaward for about 3 years, maybe 4. If there is no lake in the watershed,, the young Salmon will go to sea earlier, but are always between 4 and 6 years old when they return to spawn. 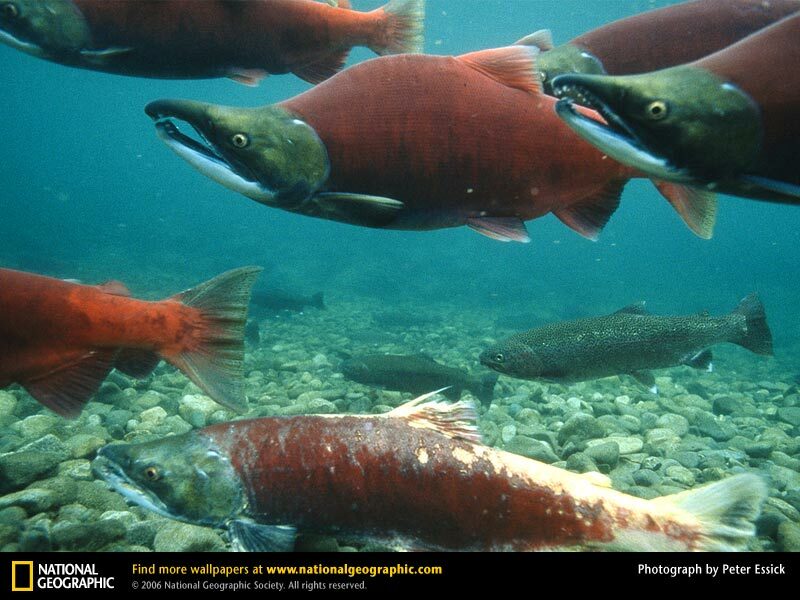 Sockeyes are unlike any other Pacific Salmon in their diet. Where others will eat other fish and crustaceans, these pacifists dine almost exclusively on microscopic plankton. A few small shrimp here and there for protein, but It’s plankton, plankton, plankton! This is believed to be the underlying cause for their psychedelic coloring during spawning.Because of the microscopic diet, they eat almost constantly. SPECIAL NOTE: The "rakers" in the gills catch the plankton and direct it into the digestive system. Pretty neat, huh? And you thought this would be boring! Oh where to start here…. Salmon is one of the most universally cookable fish in existence. In other words, you can NOT screw it up (unless you burn it!). Smoked salmon is outstanding, but Salmon can be poached, baked, broiled, and crushed up into patties as well. The most common identification error is to think that Sockeye Salmon, are Pink Salmon due to the hump on the back during spawning season. However, Sockeyes DO turn that bright red where Pinkies don't. Let your eyes be the judge, fellow fly fishers. For further information, please CONTACT US or viait our ONLINE FLY SHOP.